When you want to upgrade your casual walking suit style the right way, you need to get on the Robert Lewis express. Robert Lewis has just come out with a grand slam collection of casual style walking suits that will more than please the style minded grown man. 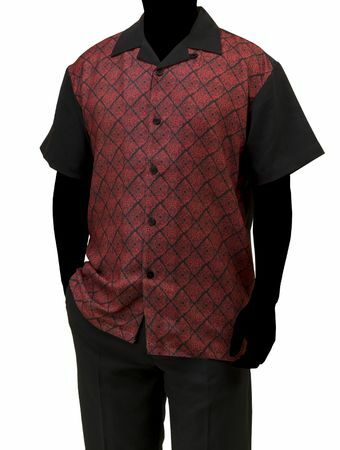 This black with red pattern front walking suit comes as you see it with nice looking flap pocket style pants and made of fine poly/rayon.